The most effective solution for unlocking better health, wealth and relationships! The Body Code Healing System Version 2.0 includes The Body Code Complete Immersion Experience Seminar Videos, The Body Code Complete Manual, The Body Code Mind Mapping Software & Application, Dr Brad Sample Session Videos, + Lifetime Access to 4 Bonus Videos. PLUS get access to Boost Your Body Code Results which offers Q&A Calls Videos and Session Demos Videos that can help you get the best results from The Body Code Healing System. 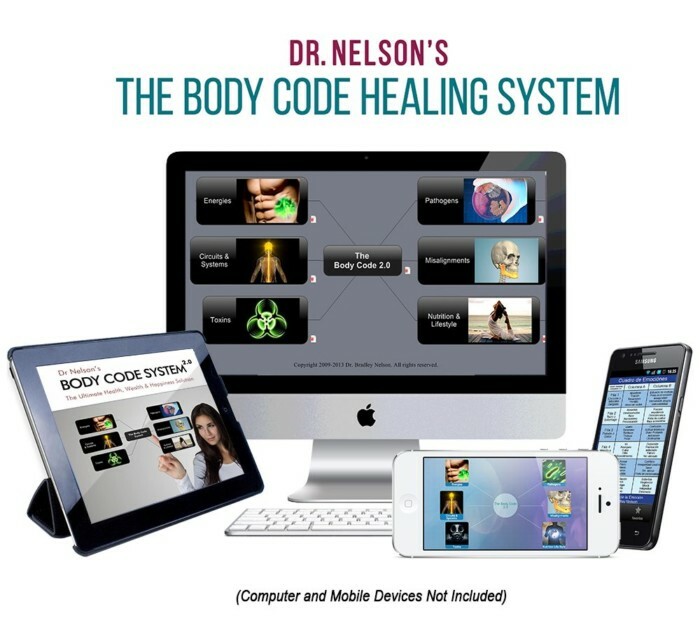 The Body Code is an easy-to-use, elegant healing system that enables you to uncover and remove the hidden root causes of your pain, illnesses and emotional troubles so you can feel better. Using a fast and straightforward approach, you’ll hone in on one root cause, or imbalance at a time. The process is simple and can help you feel better in mere minutes, no guesswork or trial and error necessary— The Body Code makes it easy for anyone to do targeted, healing work! You’ll be able to find out not only what’s gone wrong in your body, but also what you need to incorporate into your routine so you can obtain balance, raise your vibration, and feel your best. The Body Code can also help you experience more positive connection with others, and empowers you to achieve your goals by removing the unseen blockages that are keeping you stymied. Join the thousands of others around the world who are now free of pain and heavy emotional burdens, and instead have found more joy, confidence and love. The Body Code can be used to help you, your loved ones and your animal friends too! All the training you need in order to be successful is included with your Body Code System! Includes INSTANT ACCESS to The Body Code Mind Maps Software (user-friendly!) so you can start using it today. Works for Windows, Mac, iPhone, iPad, Android phones and tablets and can also be accessed online. Also includes instant online access to training videos, The Body Code Manual, plus a host of bonus trainings and guides listed below.